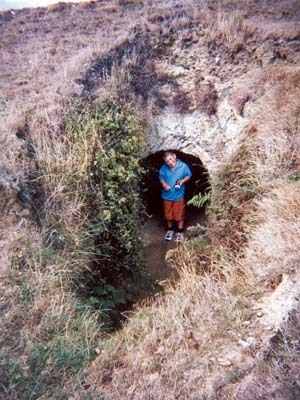 Gold mine entrance. 11 February 2019. Photo: Lew Henderson. Inside the gold mine drive. 11 February 2019. Photo: Lew Henderson. The entrance to the gold mine is on the Ohariu side of the ridge-line between Churton Park and Ohariu Valley. 11 February 2019. Photo: Lew Henderson. View from the top. 11 February. 2019. Photo: Lew Henderson. Before the shaft was filled in. Detail of the old gold mine shaft and drive off Glenside Road. Source: Terawhiti and the Goldfields (1986) by James Brodie. A gold mine drive is located on the Ohariu ridgeline, which forms part of the outer town belt. The shaft at the entrance to the drive has been filled in. The land is privately owned and farmed. 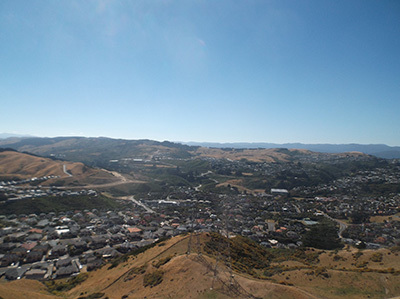 The Glenside Progressive Association Inc. has asked Wellington City Council to incorporate the goldmine in any future walkway along the Ohariu ridgeline. 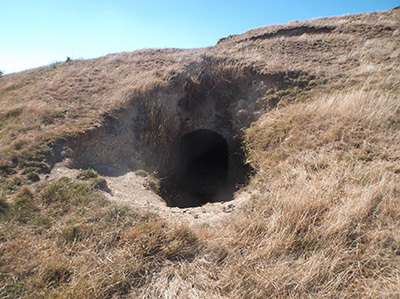 In his book Terawhiti and the Goldfields, 1986, James Brodie surmises that this mine was one of several in the locality linked to the Tawa Flat Luck’s All Gold Mining Company. 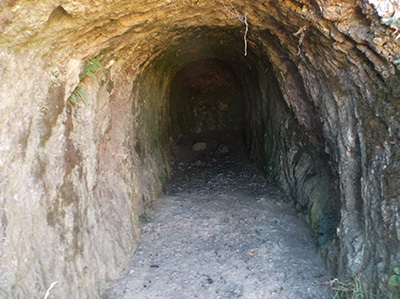 Many residents and former residents of Glenside are familiar with the old gold mines in the locality. 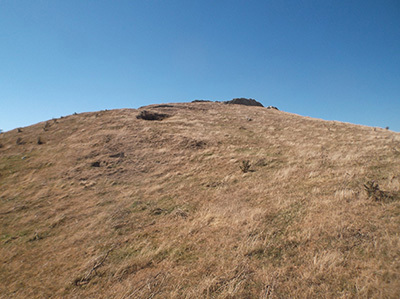 Most have been destroyed by the Churton Park development, which suggests the Ohariu ridgeline mine may be the last remaining one in the Glenside/Churton Park locality. 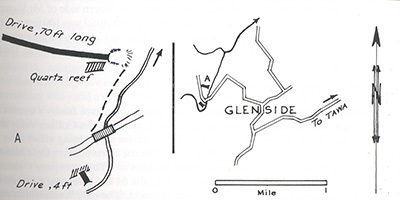 Gold mines under housing include a gold mine shaft and gold mine drive, which was once accessed off Glenside Road.